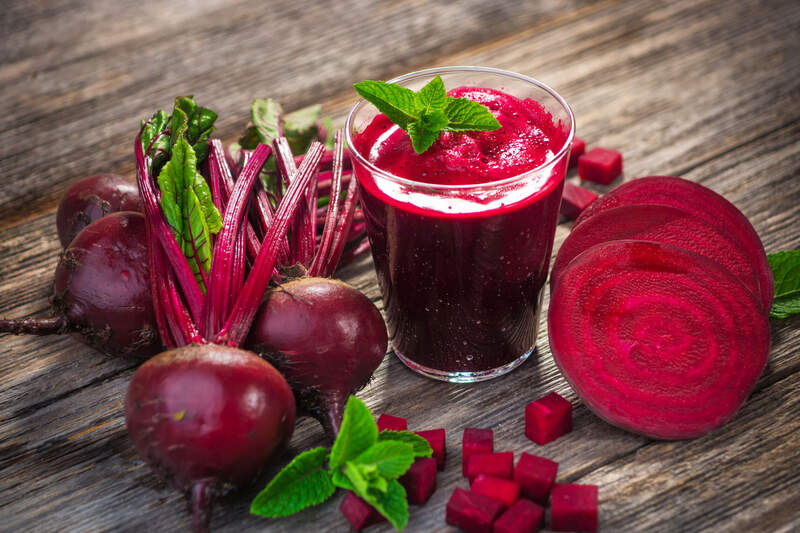 While the beetroot plant is nothing new, the health benefits of beet nutrition has been gaining in popularity in recent years. Beets have been a dietary staple for hundreds of thousands of years, even used as part of ancient medicine. Originally, people garnered beet greens for culinary use and separated the root for later medicinal use. Some even believe that beets were used as an aphrodisiac by the ancient civilizations of Rome and Greece. But these types of root vegetables were considered “ancient beets”, which is very different from the modern beet plant today as we know it. The closest thing to modern beets was first discovered in both Italy and Germany somewhere around the late 1500s. Then, in the 18th century, German scientists found a way to produce sugar from beets. Today, all throughout the world, the sugar beet is used for this very purpose. This beet has a much bigger root than the regular table beet and is white in color instead of red. First off, “beet plant” refers to the entire beet as a vegetable: its stub, leaves, and root. Then we have the beetroot, which is, in fact, the taproot part of the plant. In Northern America, this part is also referred to as just beet or table beet, red beet, and garden beet. As you can see, beets are generally good for consuming either raw, as additions in salads, or even as supplements for the extra micronutrients. Raw beets may be safely consumed after being prepared by washing, peeling, and cutting them into either chunks or slices. Beet leaves are edible, just like their beetroot counterpart. They can be consumed by humans or animals. They taste a lot like bitter spinach. They are most commonly used as an addition in salads or other light dishes. The root of a beet is very sweet. Many prefer to cook or pickle this portion of the beet to compensate. However, the more heat you apply to a beetroot, the fewer nutrients it retains. We can safely say that raw beetroot is one of the most nutritious forms of this plant. Raw beets can be an excellent addition to meals. They can add a bit of crunch to otherwise boring dishes, plus add some color to meals, like pink coleslaw. Try Incorporating raw beets into your smoothies. Additionally, juicing beets whole (including the skin) is an option for those looking to make healthy, morning beverages they can enjoy either right away or later at the office. 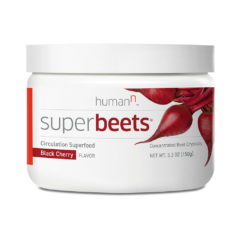 Beets nutrition has shown to bolster general health and athletic performance, vitamin C levels in the elderly, and improve physical ability in low oxygen environments. A 2015 study examined the impact of beet juice on eleven high-level kayak rowers. All participants completed five exercises that pushed their maximum athletic performance. Athletes that received a 70-milliliter beet juice shot averaged a better oxygen use during their strenuous activity. The study’s authors suggest that it would be prudent for individuals looking to improve their physical performance to consume nitrates from whole vegetables, such as beetroot. Finally, a fairly recent study examined the relationship between raw beetroot juice and cycling performance at a certain altitude. Researchers had nine competitive cyclists undergo four different trials, taking 70 milliliters of beetroot juice three hours before exercise. Beet powder (or beetroot powder) is beet in powder form. Beets exist in powder form because they’re easier to consume, digest, transport, and store. Beet powder is great mixed with water and smoothies. Additionally, it is also used in salads, soups, gravies, and a variety of other recipes to achieve strong colors (red, white, or yellow). Beet powder is filled with powerful vitamins, minerals, and antioxidants that help battle chronic diseases and infections. Perhaps, the biggest advantage of beet powder is that it is more easily utilized by the body upon ingestion than raw beets. Additionally, during the process of making beet powder, manufacturers can decide how much of the sugars in beets they want to remain in their product. Therefore, beet powder can (and often does) contain less sugar than raw beets. Beet pills are basically beet powder packed into pill form. 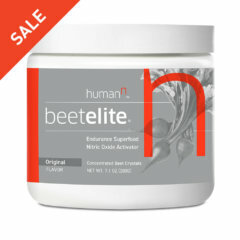 These capsules include all the benefits of beet powder, with the added benefit of portability. 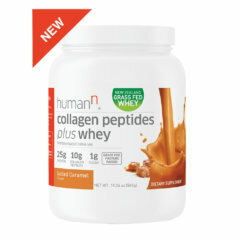 Plus, both forms can be enhanced with additional macro- and micronutrients for greater effectiveness. The common saying is that “fresh is always better.” However, fresh fruits and vegetables may not always be an option. This is one of the main reasons pickling was invented: to preserve the freshness of food that would otherwise go bad. Additionally, pickling helps preserve key nutrients. But pickling has its downsides, too. Usually, pickled foods are high in sodium and other preservatives. All that aside, pickled beets can sometimes be just as good as raw beets. Pickled beets can help the body eliminate toxic waste by helping to regulate liver function. The liver breaks down and detoxifies harmful substances in the body, and pickled beets serve as a “mediator” to achieve this goal. What’s more, pickled beets also participate in clearing the blood and creating more red blood cells, which are the main source of oxygen delivery in the body. These beets nutrition benefits mean pickled beets can help prevent or treat anemia. Did you know that pickled beets contain high amounts of a substance called tryptophan? Tryptophan helps keep the body relaxed and calm, while also keeping the mind sharp and focused. Another ingredient called betaine can also be found in pickled beets. Betaine is typically used in medication for depression, and it is also known for its relaxing and calming properties. Amazingly, these vegetables are great for providing people a sense of calmness, relaxation, and general wellbeing. 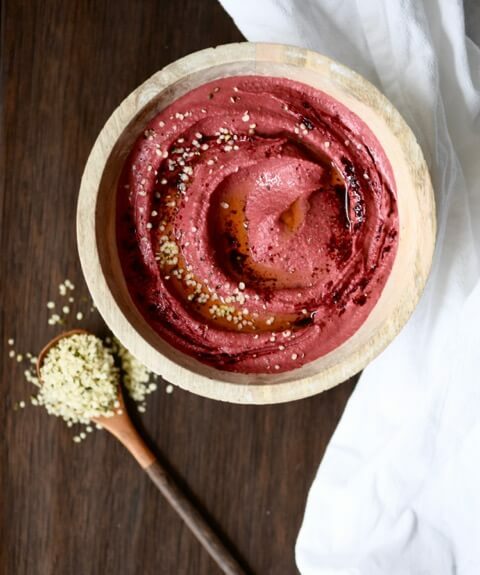 Beetroot is known for its anti-inflammatory properties. It is a good source of betalains, a phytonutrient that happens to be an antioxidant that fights free radicals. Some researchers went as far as claiming that pickled beets possess anti-cancer properties as well. These statements are yet to be confirmed by clinical trials. However, beets do contain certain phytonutrients that provide their red color. These same phytonutrients have shown an ability to battle against tumor formations in the body. Incorporating pickled beets into your diet can be a fun, easy, and cost-effective way to improve your health. You can eat beets on your salad or simply serve them as a side dish. Additionally, pickled beets can be an excellent soup, either as the main flavor or as an ingredient. In fact, some cultural dishes use beets as their main ingredient. Pickled beets can be used as an effective replacement when raw ones aren’t available. The benefits of beets, in general, extend far and wide across the spectrum of health. Beets contain high amounts of nutrients while also being low in calories. Additionally, beets offer high amounts of antioxidants, which can prevent, alleviate, or reduce the risks of cellular damage. Beets contain high amounts of vitamin C and folate. They also serve as a great source of lipoic acid. Lipoic acid is known as one of the best antioxidants for the human body, which can be very helpful for people with type 2 diabetes to consume. More precisely, antioxidants are agents that help prevent nerve damage in those affected by this condition. As you age, there is an increased risk of developing stiffened arteries and lower heart chambers, which can lead to high blood pressure. A thicker and bigger heart is less effective than a normal heart and can lead to heart failure. Thankfully, there is some hope after all. Getting regular exercise, weight loss, healthy diet, and lowering your stress level can be the deciding factors to achieving better diastolic and systolic blood pressure numbers. Plus, the latest research shows beets have the power to prevent your heart muscle from becoming thicker and stiffer, and therefore prevent more serious complications down the road. People with severe stiff heart symptoms often have less nitric oxide running through their bodies. 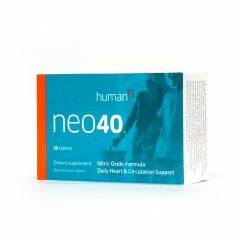 Nitric oxide (NO) is a very powerful agent that controls when and how blood vessels contract and relax, which is absolutely crucial for regulating blood flow to all of the organs, including the heart. Beets are some of the most potent nitrate-rich foods, yet are often underutilized by people with heart ailments. As you age, there is an increased risk of developing stiffened arteries and stiffened lower heart chambers, which can lead to high blood pressure. A thicker and bigger heart is less effective than a normal heart, as these changes to the organ introduce new risks and can eventually lead to heart failure. This can work both ways: High blood pressure can lead to a stiffened heart muscle, and a stiffened heart muscle can contribute to a significant elevation in blood pressure as well. Not a good combination either way you look at it. 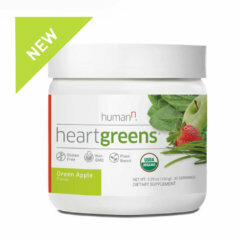 Additionally, other health problems can accelerate, or play a role in, heart ailments. These include medical conditions such as unregulated type 1 and type 2 diabetes, coronary artery disease, unregulated blood pressure, and obesity. All of these are serious conditions that can be precursors to heart failure. Thankfully, there is some hope after all. Getting regular exercise, eating a nutritious and healthy diet, and lowering your stress level can be the deciding factors to achieving general well-being and good health. Plus, latest research has shown that beets have the power to prevent your heart muscle from becoming thicker and stiffer, and therefore prevent more serious complications down the road. Here’s how beets and beet juice can help prevent heart failure in an all-natural way. If your heart becomes stiff, it takes longer for it to relax. This can lead to symptoms such as fatigue, shortness of breath, leg swelling, getting tired after several steps of walking, and more. All of this happens even though your heart function (at that point in time) would be considered completely normal. The medical term for this condition is called “diastolic heart failure.” This simply translates to heart failure symptoms that happen when the squeezing function of the heart is normal, but the relaxing function of the heart doesn’t function properly, as described above. Each participant took beet juice (containing inorganic nitrates) for one week. Then, they had no beet juice the following week. Finally, the participants were instructed to take beet juice in the third week, during which the nitrates were “stripped” from the beets altogether. After the initial dose, the participants in the study showed no added benefit from consuming beet juice with inorganic nitrates. However, after one week of consuming beet juice, their blood pressure reading went down for at least 14 mm/Hg from the initial measurements. One of the most dramatic insights was that after one week of consuming beet juice, the exercise capacity of the participants saw a 24 percent increase. A word of caution to anyone on medication for high blood pressure: the combination of inorganic nitrates and medications often used for treating high blood pressure or erectile dysfunction can cause instant, dangerous lower blood pressure. Seek medical advice before taking a beet nutritional supplement if you’re on medication for either of these conditions. Because of the many essential nutrients found within beets (fiber, folate, potassium, vitamin C, manganese), they are considered very beneficial for lowering high cholesterol levels in adults. A recent study considered the effects of Beta vulgaris (beetroot) on rats with previously induced high cholesterol levels. While the study gave new insight to previously unknown beets nutrition benefits, more research is needed. The study goes on to show that an increase in water-soluble fiber from plants (like beets) can decrease the risks associated with coronary heart disease as well. 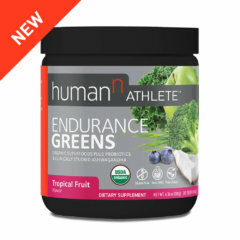 Again, more evidence is needed to determine the real effects of fiber, inorganic nitrates, as well as the remaining ingredients found in beets on the human body. The evidence is preliminary at best. Liver health may not be the first thing that comes to mind when we’re thinking of introducing lifestyle changes or changes in our diets. However, it is surely something to be considered. The liver affects many aspects of our health care such as blood sugar, heart, adrenal gland, and digestive health. In fact, the liver is the major organ responsible for filtering out and removing toxins from the blood before it gets released back into the bloodstream. One of the foods that can help prevent toxic buildup in our liver is none other than the humble beet. Beets are high in iron relative to other veggies. For the body, iron is important because it helps in the production of red blood cells. If you don’t have enough iron, you may begin to develop symptoms of anemia. Anemia can be considered a lack of red blood cells, which results in fatigue, low energy levels, lethargy, and depressive episodes. 25 percent of the body’s iron reserves are stored in ferritin. In men, ferritin can store iron for three years, but in women, it can store iron for only one year. This is one of the main reasons why anemia is more common in women than in men. Iron is known to improve cognitive function, support muscles, help with oxygen circulation, treat anemia, treat fatigue, and improve the body’s immune system. And since we’ve seen that beets contain ample levels of iron, it’s no wonder that eating beets regularly can help treat low-iron-related conditions. 4 tablespoons of sunflower seeds (salted or plain to taste). Step 1: Preheat the oven to 250 C / about 450 F.
Step 2: Take a baking sheet and cover with two layers of aluminum foil. Spread 2 tablespoons of olive oil on the beets, add salt and pepper to taste, and wrap then beets in the first foil layer. Take the beet-filled sheet to the oven and roast for about 1 hour, or until the beets become fork tender. Step 3: Place the shallots in a bowl, add the remaining 2 tablespoons of olive oil, and sprinkle with salt and pepper to taste. Toss the mixture well. After the beets have been roasting for 45 minutes, remove the baking sheet from the oven and place the shallots on the second layer of aluminum foil. Return both sheets to the oven to roast for another 15 minutes, until the beets become fully cooked and the shallots become caramelized. Step 4: Leave the beets in the foil to cool for around 5 minutes. Remove the shallots from the second layer of foil and set them aside in a bowl to cool. When the beets become cool enough to handle, rub off the skin with the help of a paper towel. Cut the beets into chunks or wedges and toss them into the shallot bowl. Step 5: Cut off the oranges’ tops and bottoms with a serrated knife. Set the oranges down (one at a time) on one of the cut ends and cut away the skin, carefully from top to bottom. Slice into thin slices and set the oranges aside. Step 6: Using a small bowl, add the sugar, vinegar, salt and pepper to taste, and additional olive oil if needed. Whisk the mixture together and pour the salad dressing over the shallots and beets. Toss well to combine. Add the orange slices and the mixed greens and toss again. Finish the salad by sprinkling on some sunflower seeds. Step 1: Add the orange, kale, apple, carrot, beet, and ginger to a juicer and juice until they are well-blended. Step 2: Add ice to two glasses and pour the juice into the glasses. This recipe is served immediately. Step 1: Chop all of the ingredients coarsely. Working in this order, place the soft or liquid ingredients into a blender and process until they liquefy into a well-blended mixture. Step 2: Add the remaining ingredients and blend until everything is liquefied. Step 3: Cut two pieces of cheesecloth, completely unfolding each piece and stacking the pieces onto one another. Fold the cheesecloth stack so that you now have 4 layers of cloth. Put a large bowl under the cheesecloth and place the remaining pulp in the middle of the cloth. Gather the edges and squeeze the pulp to extract all of the juice into the bowl. Tip: to avoid staining your hands, consider using rubber gloves. Step 1: Preheat oven to 350 F or 180 C. Line several baking sheets with bakery release paper. Step 2: Slice the beets into thin wedges (thickness: 1/16″) with a mandoline. Set the beet slices into a large bowl and drizzle oil to coat evenly. Step 3: On the prepared bakery sheets, arrange as many beet slices as possible without overcrowding in a single layer. Bake for around 30 minutes until the beets become crisp, rotating the pans once at the 15 minute mark. Remove the beets from the oven and leave them to cool. Use paper towels to remove excess oil. Repeat with each batch until all of the beets are properly baked. Step 4: Sprinkle the chips with salt and pepper to taste. Step 1: Preheat the oven to 220 C/400 F. Drizzle the beet noodles with 1 tablespoon of olive oil, and season with salt and pepper to taste. Arrange the noodles in an even layer on a bakery sheet and roast for about 10 minutes or until tender. Step 2: Using a food processor, make a parsley pesto by grinding the parsley leaves, walnuts, parmesan cheese, garlic, and the remaining 2 tablespoons of oil until consistent. Add 1 to 2 tablespoons of water until creamy. Sprinkle salt and pepper to taste. Step 3: Remove the noodles from the oven and transfer to a serving platter. Add the parsley pesto and serve with additional grated parmesan cheese on top. Step 1: Melt the chocolate and butter in a microwave and stir until smooth. Set aside to cool slightly. Meanwhile, cream the brown sugar with the remaining butter in a large bowl, and beat in eggs in the same bowl. Step 2: Take a small bowl, and combine the beets, chocolate mixture, and vanilla. Step 3: Combine the salt, baking soda, and flour, and gradually add to the creamy mixture. Step 4: Pour the mixture into a greased, fluted tube pan. Bake at ~200 C/400 F for 55 minutes or until a previously inserted toothpick comes out clean from the mix. Remove from the oven and leave to cool. Dust with powdered sugar before serving. Step 1: Combine all of the ingredients in a blender and blend for 1–2 minutes. Once done, pour the mixture into a glass, add the ice cubes, decorate with an orange slice, and enjoy a healthy dose of a delicious beet smoothie. Step 1: Wash the beets and peel the skin if they’re not organic; leave it on if they are organic. Then, chop the beets into small cubes. Step 2: Place the beets on the bottom of a half-gallon glass jar. Add the whey/natural juice, add salt, and fill the jar with water. Cover the jar with cheesecloth and leave it at room temp for around 48 hours (two days) to ferment. Step 3: Move to refrigerator to cool and consume as needed. Ideal is 3 to 4 ounces each morning or night. Note: this recipe is for approx. 8 cups of beet kvass. ½ cup of chives (minced). Step 1: Shred the beets and add them to a large bowl. Add the juice and zest from the orange and lime into the bowl to taste. Step 2: Add olive oil and toss together to combine the salad mixture. Add salt and toss again. Step 3: Wait for 1–2 minutes, add the chives, and serve. Note: The grated beets can be kept in the fridge for a couple of days. Granted, they will become more tender the more they stay in the refrigerator, but the good thing is that they don’t lose their texture. In fact, the mixture becomes sweeter as the beet juice mixes with the juices from the orange and the lime. If you opt for this way of preparation, toss the mixture again before serving. Beets provide several benefits for cholesterol, inflammation, mental, heart, and liver health.